Californians for Justice is a statewide grassroots organization working for racial justice by building the power of youth, communities of color, immigrants, low-income families, and LGBTQ communities. Led by students, they organize to advance educational justice and improve our social, economic, and political conditions. 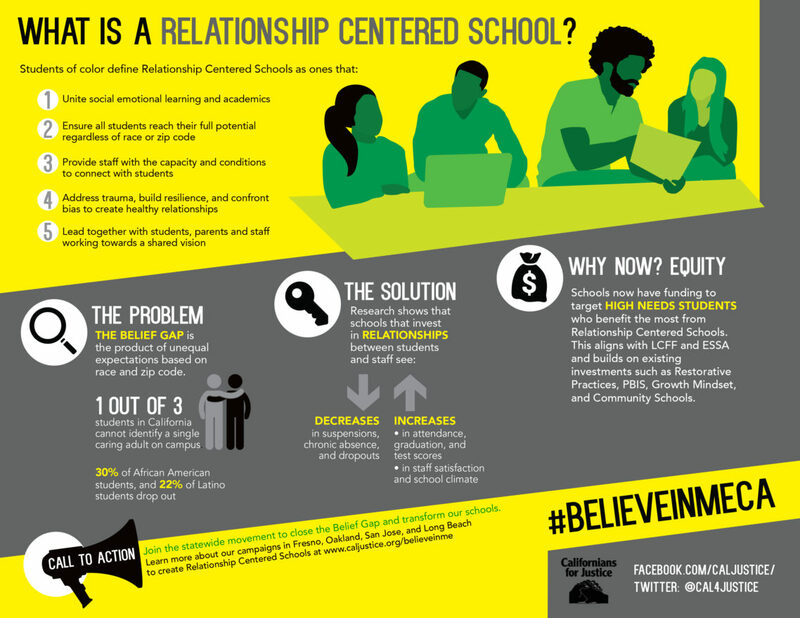 This infographic was created to explain the importance of Relationship Centered Schools, which value student voice, invest in staff, and create spaces for relationship building.